Hi all, I have the Trumpeter 1/350 kit w/accy pack, and am picking up smaller caliber barrels. This is my first ship kit since the Revell kits in the '60s. I saw the photos of the Main Deck and rigging above, and say thankyouthankyouthankyou for posting them! Everybodys' work on this site is very impressive and so are the people sharing information-all of this will make my build a pleasure. Two questions I have on the ship are hull color and foredeck I.D. Which brings me to the question of hull color. I've heard there is some vague argument about whether the hull was painted in red oxide or Italian Hull Green as their torpedo boats were. Which is correct, from yalls point of view. The oxide is a safe bet, but wow that massive hull would look fantastic in green(how very Italian). Secondly, the kit plan views show the I.D. starting at, and parallell to, the starboard side of the breakwater. It looks wrong, compared with ship photos of the Pola(and not many at that-I confess I have very little research material on ships). Are the prints in the above post more like it? I've compared the differences between the Vittorio Veneto instructions at the link below and the instructions from my Trumpeter Littorio kit. Even though the same parts are numbered differently for both kits, the parts' arrangement still seems to be identical. 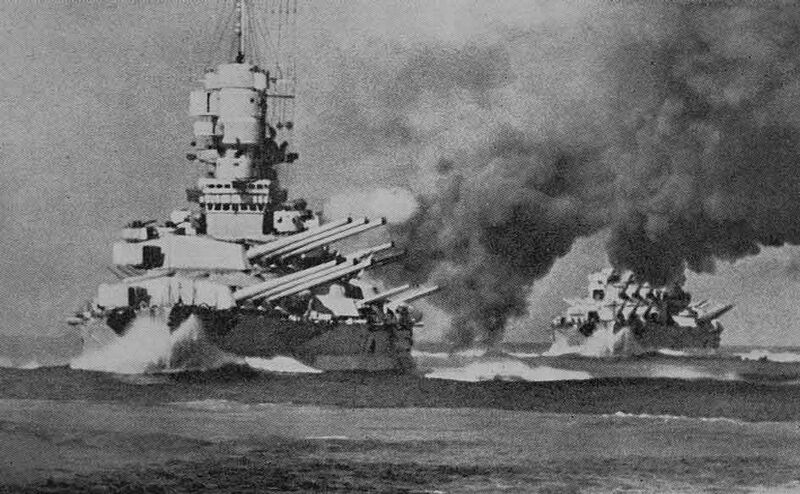 Originally I was going to build the Littorio kit from 1st Sirte, but I am now interested in possibly building instead as Vittorio Veneto at Matapan in May 1941 if the differences aren't too different. Is the Trumpeter Littorio kit merely a re-box of the Trumpeter Vittorio Veneto kit? So any upgrades in Littorio's AA suite after Taranto wouldn't really be shown in the 1941 kit? 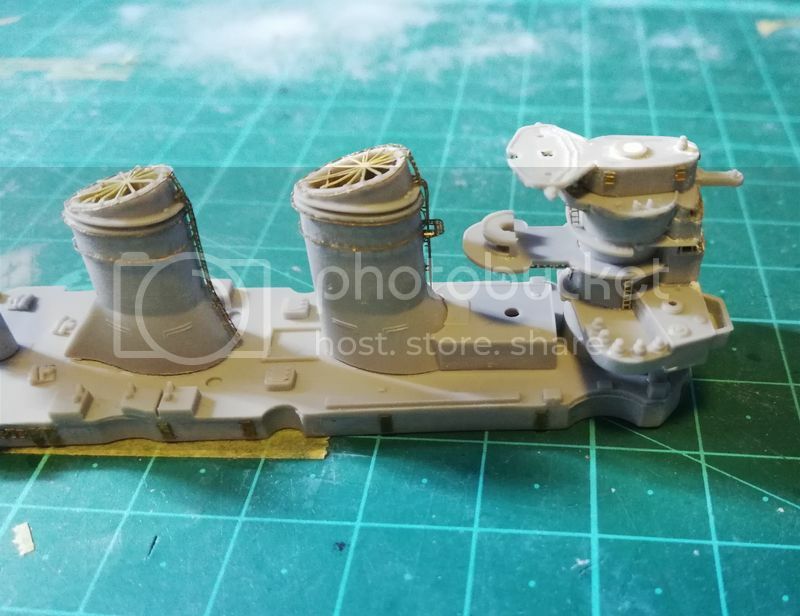 I'm asking this question to see whether if the Littorio 1941 kit can be built out of box and painted as 1940 if not a lot of backdating has to be done. Main differences between twins are directors. You can see, that they are different in the kits. In general both are correct but some little modifications as AA armament, bridge's windows and wind deflectors can change in the time. Which ship do you want? And what date? The diferences are principally in the directors. Main director have diferent rear in superior rangefinger. Straight VV angular L. Four apertures in superior rangefinder VV two only in L. And two catwalks in the rear of two rangefinders. This picture is VV no Littorio, you can observed superior rangefinder with four apertures. Last edited by mpgl62 on Tue Jan 03, 2017 12:35 pm, edited 8 times in total. The diferences are principally in the directors. Main director have diferent rear. Straight VV angular L. For apertures in superior telemeter VV two only in L.
Thanks for clarifying this. I guess I have no choice but to build this kit as Littorio. Hello. I am building the Trumpeter 1/700 Vittorio Veneto. The kit is said to depict the 1940 condition. I would like to enquire whether the kit can also reflect the condition during the Battle of Matapan, i.e. March 1941 except for the locations of anti-aircraft guns and life-rafts as discussed earlier in this thread. Actually, I have the two references in hand, one is Profile Morskie (PM) plan and The Littorio Class: Italy's Last and Largest Battleships 1937-1948 by Erminio Bagnasco. However, the former and most of the illustrations in the latter are showing the 1942 version, which I can noticed quite a number of difference to the bridge part as compared to the kit. 1. Parts D19 and D24, which form the base of the AA gun platforms at the two sides of the fore funnel. As per the kit’s instruction, it should be glued to the lower part of the gun platform (A5/A7). However, part of D19+D24 will be left unattached to the upper part of the gun platform as shown in the photo below. What make it even more obscure is that the topside of D19+D24 is not covered. The void between parts D19 and D24 is viewable in an oblique angle. In the Profile Morskie’s plan, the base is extended to attach to the upper part of the gun platform instead. 2. Moreover, in the kit, three PE parts depicting the vent louvres should be attached to part D19. However, in the PM plan, there are only two vents at the outer side of the AA gun platform and there is another one vent at the inner side. Which one is correct? 3. 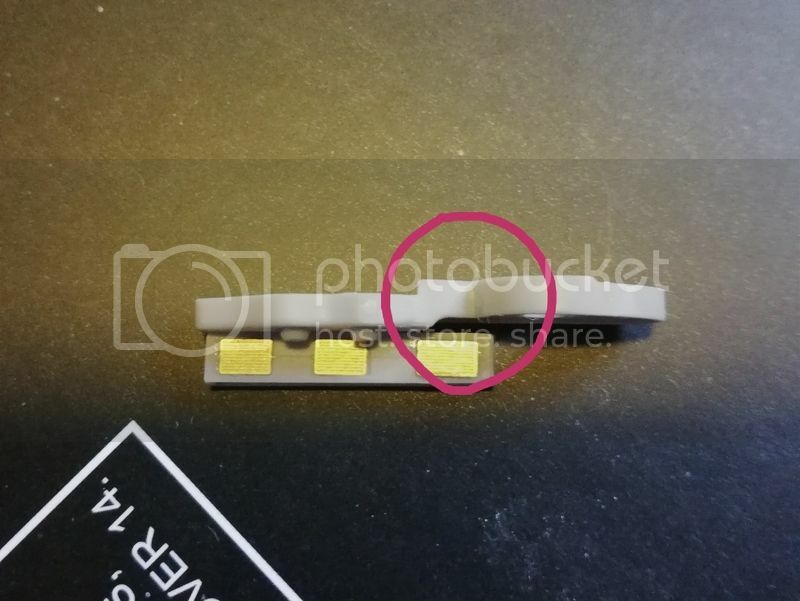 Concerning part K19 which is the deck house attached to the fore part of the fore tunnel, it is not attached to the bridge tower in the front in the kit. However, as shown in the PM plan, the deck house is attached to the bridge tower. Which one is correct? So, do you mean that it should connect to the bridge base like shown in the PM plan below? i,e the kit is wrong? As this is supposed to be a major flaw of the kit but I am not notice it has been mentioned. It will be a major modification if it has to be ratified. Hello, does any of you have a photo or layout plans for the side sheathing of Vittorio veneto? 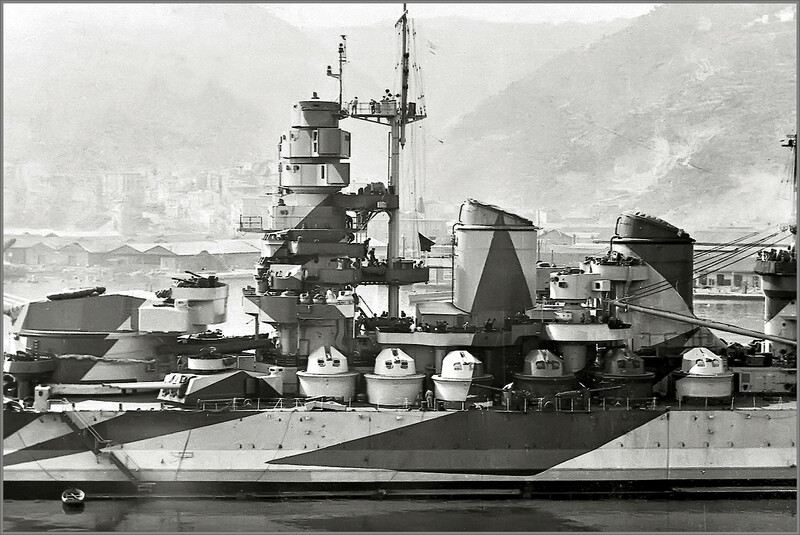 Does anybody knows what was the correct colour of bottom on battleship Roma (brown, red, green, etc)? Guys, OOB Vittorio Veneto Cape Matapan was all light grey, correct? XF19 Tamiya call out is suitable or you found via experience a better paint? The colour of bottom is green. I have and seen two Recognition Models of LITTORIO without 90mm guns and range finders (one a Bassett-Lowke, the other a RAF brass one), as well as seen the photos of her in that configuration. How long was LITTORIO in that state, and did she ever "serve" in that condition? Or were the British just eager to get a representation of that ship out? Those models are very interesting. Can you publish some pictures? 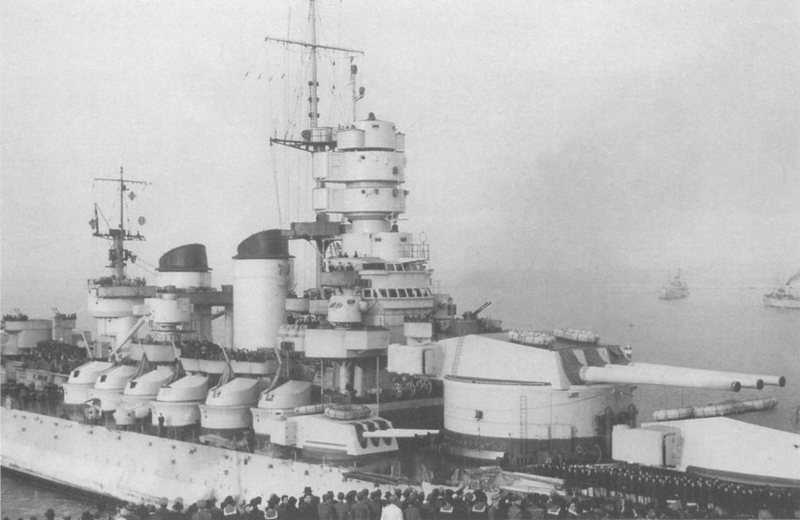 Littorio was commissioned May 6, 1940, and Vittorio Veneto April 28. Both in external completed condition (all guns and directors). Some tests and problems made the effective service in August. So, for Italian war declaration (June 10) the twins were on tests and exercises. Also, because this, they did not participate in the battle of Punta Stilo (Battle of Calabria in english). In conclusion, uncompleted Littorio did not saw some naval service. Only civilian service, without Regia Marina ensign. Littorio and Vittorio Venneto tests (summer 1940).